Dean from Australia: Pioneer One - There Need Be No Other Title. Throughout 2011 I had the pleasure of discovering a lot of new media via the web. From independent musical projects, to movies, to 'television programs' produced exclusively for the web - there is a great deal out there to discover and enjoy and, in many cases, a lot of this content is free to download legitimately. I've mentioned Creative Commons attributions in previous posts here at DFA Dot Com which is basically a fancy way of describing the availability of independent media to end users for free, but in almost all cases, the projects depend upon the generosity of the end user who can contribute to the projects they have discovered both financially through donation or by spreading the word about that particular project via social media. Both these methods are a wonderfully entrepreneurial way of ensure the success of new media and, because donations and support come from like minded people, often the projects flourish without the intrusion of commercial interests which can and has neutered such media with their particular agendas. One project that really got me excited over the course of the past few months is a 'television' series called "Pioneer One". I've italicized 'television' you'll note, because, although it is presented as a six episode series, it hasn't (yet) been actually broadcast on television. It's broadcast space has been the exclusive and more powerful environment of the web. 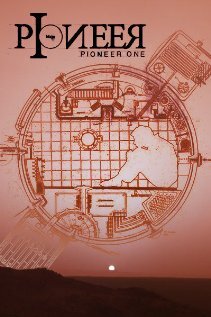 So what is "Pioneer One"? A mysterious spaceship enters Earth's atmosphere, triggering a massive response from the American government. Since the ship has spread radiation over hundreds of miles of rural Montana, officials are quick to bring up the possibility of a terrorist attack, specifically the detonation of a dirty bomb, however, that idea is discarded subtly by the leading investigator, asking the rhetorical question "Who would launch an attack on Montana?". 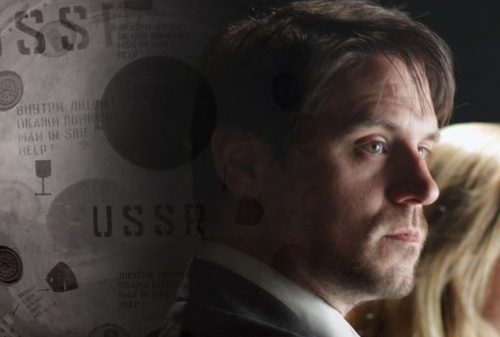 Debris is found in Canada, where an investigation of the crash discovers a live human being in a Soviet space suit. Federal agents working for the American Department of Homeland Security get involved, receiving permission from the Royal Canadian Mounted Police to operate in Canada. The man is in an unstable condition and his initial blood work shows signs of severe cancer, with his doctors proclaiming him too badly injured to transport. A note handwritten in Russian found at the crash site says that the man is the child of cosmonauts living at a base on Mars. Not believing the note and wanting to announce a Department of Homeland Security success to the press, the American DHS orders Agent Tom Taylor (James Rich) to bring the man back to the United States as a suspected terrorist, despite his severe condition. Believing the note could be true, Taylor ignores his orders and destroys the permission from the RCMP, forcing his team to stay on site. He also brings in Dr. Walzer, an expert who has written several books about the possibility of human survival on Mars, to discuss the incident. Over the course of the series, we are introduced to an eclectic team of investigators, scientists and medics - all of whom are drawn to the stranger who seems to have fallen from the sky. As they work to unravel the mystery, they will discover truths that will change their lives forever. Though the series was essentially filmed on a shoe string - you would not know it. The production values on Pioneer One are on par with any of the big network TV shows and it presents as a taut, ensemble piece with plenty of drama and enough mystery to keep the viewer invested from the get go. The cast are exceptional - headed up by James Rich who portrays DHS agent Taylor who is conflicted from the start by the situation he is faced with. The arrival of the Russian cosmonaut Yuri (Aleksandr Evtushenko) - who may or may not actually be the child of a Russian mission to Mars - sets off a chain of events that will affect all those who come face to face with him. Rich is ably supported by actors who, because they aren't necessarily big names, totally inhabit their characters. From Alexandra Blatt as Taylor's 2IC Sofie Larson, to Jack Haley as the eccentric Mars expert Zachary Walzer to Laura Graham as the compassionate therapist Jane Campbell. These are names that you might not know, which is actually a plus because they become their characters. This adds to the overall sense of believability in the story. James Rich as DHS Agent Thomas Taylor. Production on Pioneer One began back in 2010 by Josh Bernhard and Bracey Smith who conceived the idea of producing a totally web based drama series and funding it almost entirely out of their own pockets - along with some generous support through capital raising portals such as Kickstarter. As the series progressed and it garnered a solid and dedicated fan-base, the producers were able to raise enough money to continue production on the series through it's entire 6 episode schedule. The response to Pioneer One has been phenomenal. Within it's first week of release, Episode 1 was downloaded some 420,000 times and, according to the producers, by December of 2011 it had collectively been downloaded over 3.5 million times through it's hosting partner, VODO and it raised almost $100,000 in fan donations, ensuring that the entire first season would see completion. And now as I write this, the first season is now complete and can be viewed in it's entirety via the download links at Pioneer 1's Vodo Portal. If there was to be one criticism of the series - and this is entirely not the fault of anyone associated with the project - is that, because of the disparate funding streams coming into the project, there was a long time between episodes of the show. This was kinda frustrating for fans like myself who had hopped on board the series from the beginning but, given the high value of the production, the casting and the writing, it was impossible for me not to stay the course. And so now the Pioneer 1 team and the fan base look forward to the production of a second season and a continuation of the story that was left by an awesome cliff hanger at the end of the first season. The sneak peek trailer for season 2 hints at heightened geopolitical tension, changing alliances and answers to questions that were tantalizing all through out season 1. Make no mistake. This is a new paradigm in dramatic serial television that removes all of the big TV network impediments to great drama and offers us pure entertainment. I urge you to check this series out. Thansk for another great post, Dean. Thank you for stopping by Emanuel. This series really is first class. Now that I have all six episodes and can watch them back to back, I'm blown away by how taut and slick it really is. Pioneer One broke new ground, as is an indicator of what is to come. As further proof of the concept there is L5, a hard sci-fi show also on VODO.